Our 2017 packing crew- the conveyor belts make it easy! 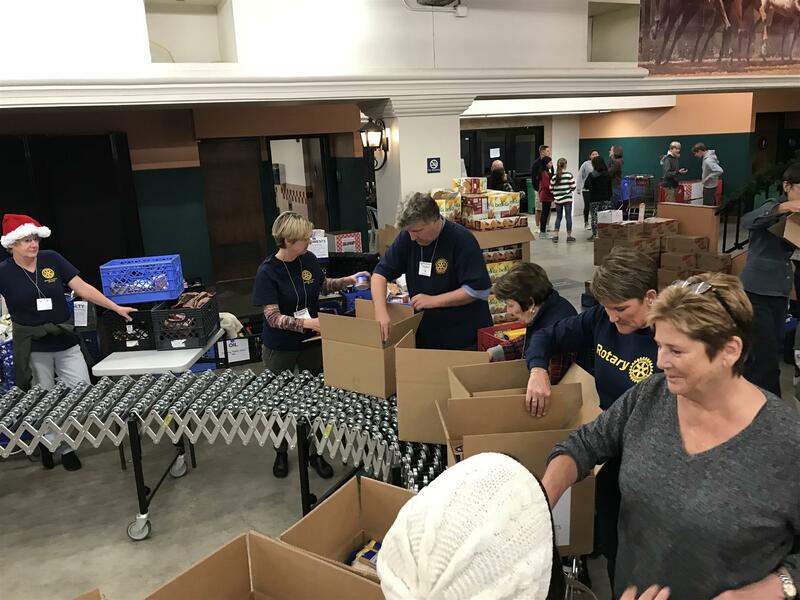 Get packin’ at the Community Resource Center Holiday Baskets at the Del Mar Fairgrounds on Tuesday December 11 from 6-8 PM. We will be packing boxes that provide nutritious staples for families in need in the North County region. 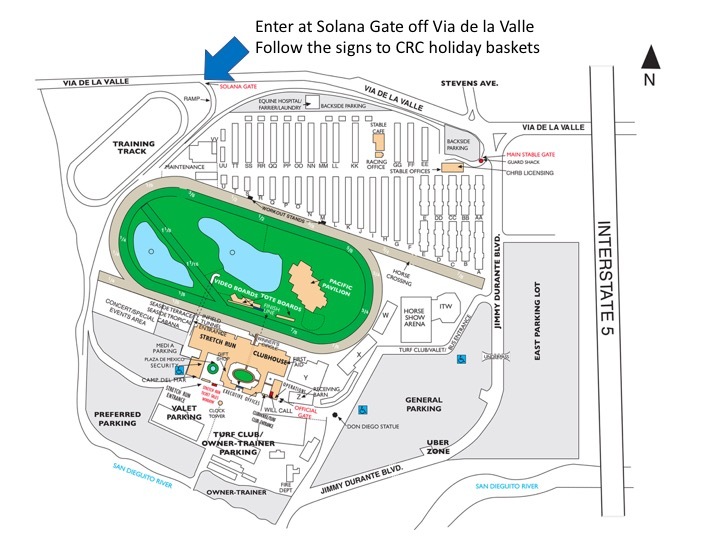 Enter the Del Mar Fairgrounds at the Solana Gate off Via del la Valle (see map) and follow the signs to volunteer parking. The grandstand can be chilly, so wear layers that can be easily shed as you warm up packing goodies. Email Barrett Smith with any questions and bring a completed waiver form.